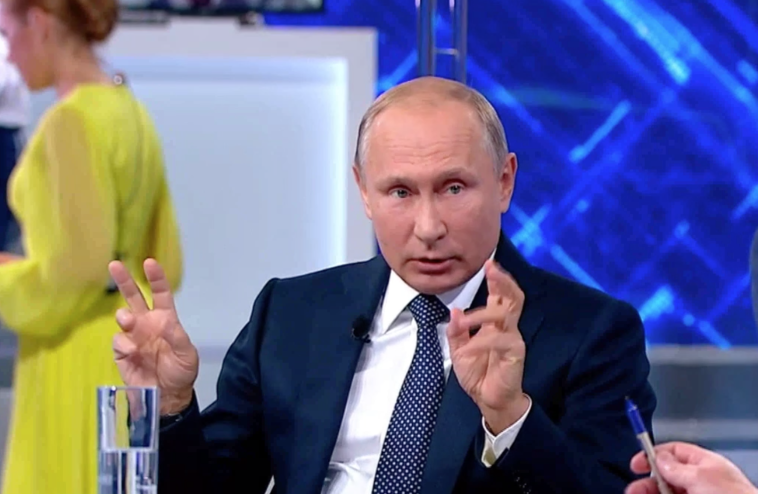 Putin: "WW3 Would Be The End Of Civilization"
Russian President Vladimir Putin held his annual televised question-and-answer session, with over two million questions submitted from Russian citizens. This year’s event is Putin’s 16th Q&A. One question Putin received referenced the new cold war between East and West, and whether this could lead to a hot World War 3. Putin noted that such a scenario would be “an end of civilization” event, and awareness of this should be enough to restrain international powers from engaging in global conflict. As of Thursday morning, over 1.9 million questions have been submitted, according to Interfax, and the number keeps growing. The annual event, which is officially called ‘Direct line with the president,’ has been scheduled ahead of the 2018 FIFA World Cup, which kicks off on June 14. This year there will be no audience at the venue and the questions will be asked not only by phone but also using interactive screens in the studio. The president will have a huge screen in front of him on which he will see text and video messages. The Q&A session has become an annual tradition in Russia, in which the president answers questions submitted by people throughout the country. Traditionally, the Q&A focuses mostly on domestic issues, such as healthcare and economic development, but the Russian leader also often comments on global affairs. Putin’s first Q&A session was held in December 2001, and he continued them as a prime minister. This year, Putin will host the 16th session. The longest event so far lasted 4 hours, 47 minutes.